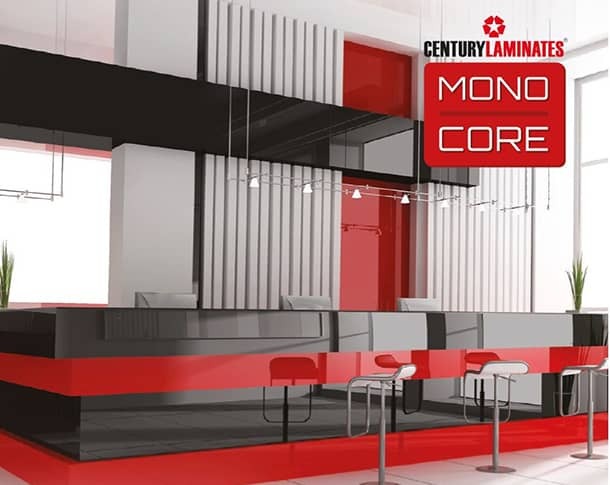 CenturyLaminates, India's leading brand of Laminates, presents to you, MonoCore. These high quality laminates have the same colour decorative surface as the core layer, giving these laminates the uniform look. Ideal for your retain and commercial spaces, they ensure that while your interiors look sharp, the edges between two laminates are smooth. Monocore comes in 10 contemporary solid shades and are available in two finishes, Gloss and Suede.